Care by Design is known for making great products using locally sourced ingredients; this honey straw rich in CBD oil is one of the best. CBD is great for medicinal use and is non-psychoactive. 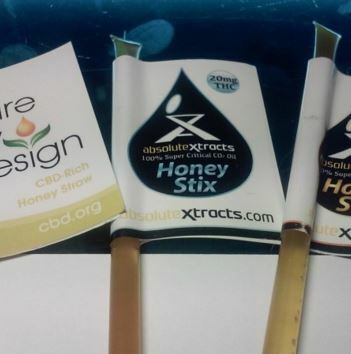 These honey sticks helped with deep relaxation and pain management. Strong THC flavor with rich honey notes. Intense and powerful. Overall Rating: 2.7 out of 5. Flavor: Weed flavor a bit strong and overpowering. Cannabis oil, organic honey, coconut oil. Potency: Strong, intense and powerful. THC Content: CBD 10mg, THC 2.5 mg.
A perfect treat for relaxing and getting lifted. Learn more about Care by Design here. Previous Entry Can Cannabis Help the NFL?